FARNBOROUGH, England — A new tie-up between Leonardo and Ultra Electronics that will facilitate the integration of the latter’s mini-sonobuoy system on UAVs could fulfill Britain’s effort to include this capability onboard its future fleet of Protector drones. 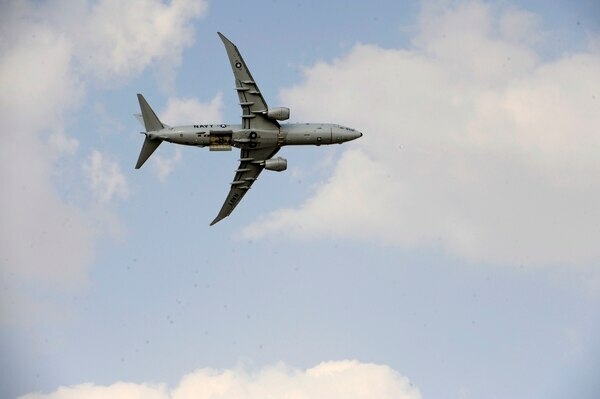 The aircraft is being delivered without the anti-submarine warfare capability, something that will be covered by the delivery of P-8 Poseidon maritime patrol aircraft to the Royal Air Force. But manufacturer General Atomics Aeronautical Systems, Inc. has called on the government to supplement this manned capability with an unmanned ASW-capable system. Giving evidence to inform the Modernised Defence Programme that the U.K. is set to release in the coming week, GA-ASI said in April the government should feel like it can rely on the Protector fleet, specifically in a maritime role supporting the P-8. Leonardo and Ultra have teamed to offer the former’s Ultra Light Sonics Enhanced System with the latter’s mini-sonobuoy system — as well as a dipping sonar capability from L3 Technologies. Northrop Grumman previously touted its MQ-4C Triton high-altitude, long-endurance UAV as a system that could help bolster the maritime surveillance capability of the U.K., marketing the complementary manned-unmanned teaming, or MUM-T, of the unmanned aircraft with the P-8 in line with how the U.S. and Australia either are or plan to operate their respective aircraft. “Given that Triton is an order of magnitude costlier than Protector, a more cost-effective way for the RAF to capitalise on its P-8A and Protector acquisitions would be to team these two platforms, leveraging the latter’s maritime potential and developing a P-8A/Protector MUM-T capability,” GA-ASI’s evidence said. Ultra’s mini-sonobuoy system — a larger version of which comes as a baseline capability on the P-8 — is some 18 months away from being fully developed and will be manufactured in the U.K. The system is already used on the Royal Navy’s Merlin rotorcraft fleet, which will be operated from its new carriers. Sovereignty in the design of Protector is an important feature for the U.K. government, which is electing to acquire British-made weaponry in the form of the Raytheon UK-developed Paveway IV laser-guided bomb and MBDA’s Brimstone air-to-ground missile. 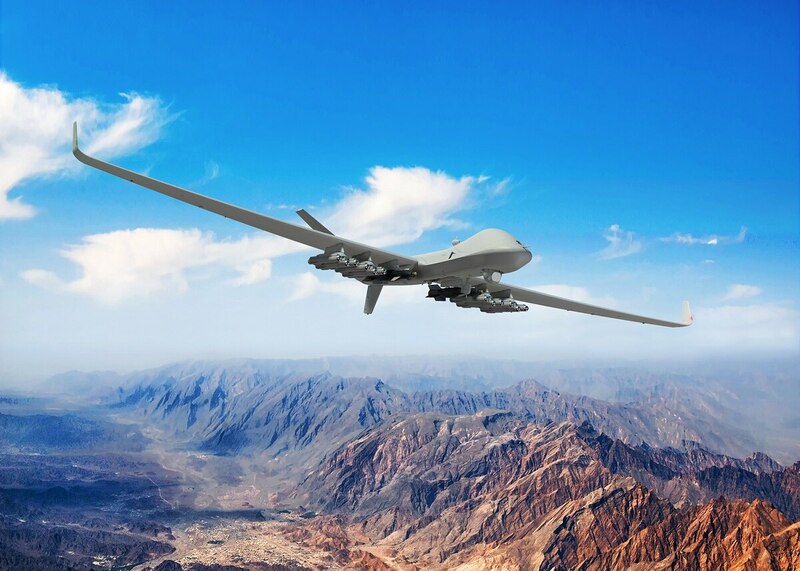 Ultra previously paired with GA-ASI to offer a sonobuoy launch capability for its MQ-9 system, which is the baseline aircraft that from which Protector’s MQ-9B SkyGuardian UAV will be derived. GA-ASI claimed in 2015 that a maritime capability on the drone could complement what was at that point an unfulfilled maritime patrol aircraft requirement for the RAF, which ultimately selected the P-8. It was then revealed in 2017 that Ultra was involved in an ASW demonstration of the MQ-9, which was conducted in October of that year. The U.K.’s Strategic Defence and Security Review stated that the Protector fleet would see the incumbent fleet of MQ-9 Reapers at least doubled, although it has been claimed that only 16 will initially be acquired. The Leonardo-Ultra team is also targeting the MQ-8C Fire Scout rotary-wing UAV program for its sonobuoy system, claiming that the appetite is there to integrate it onto the air vehicle, but funding will have to be applied to push this aim further. The company told Defense News that 50 could be integrated onto the Fire Scout and that international customers, specifically in the Asia-Pacific region, are interested in operating an ASW capability onboard a UAV to complement maritime patrol aircraft acquisitions.